UFO SIGHTINGS DAILY: UFOs near astronauts during Olympic Torch show, on space station, Sept 1, 2016. UFO Sightings Daily. 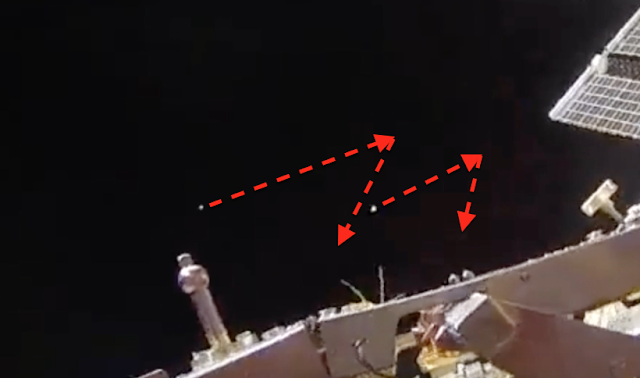 UFOs near astronauts during Olympic Torch show, on space station, Sept 1, 2016. UFO Sightings Daily. 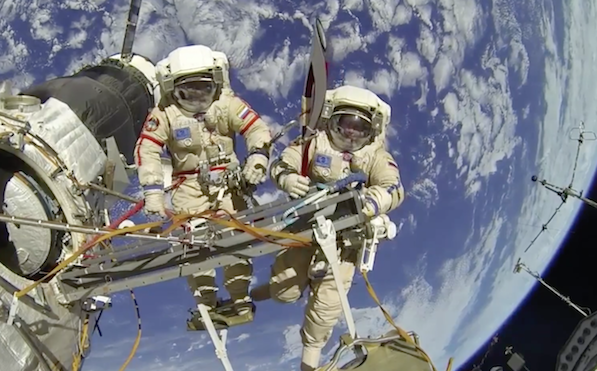 LOL, when the Russian astronaut sees the two-three UFOs fly in front of him as he holds the GoPro camera, he totally loses it and fumbles to the right trying to pull away from the UFOs and keep his balance. Also, notice the two brighter UFOs get frightened by his sudden movement and they both make a 135 degree sharp turn, and head downward. Kinda cool, and impossible for a floating piece of debris to preform, but easy for a living creature or alien drone to do. See the Olympic torch in the photo below. This was a live broadcast on Youtube and lasted for about 25-30 minutes, the was placed on an eternal loop. I quickly spotted many white entities moving about. I say entities, not UFOs because they looked small, drone size, but others were tiny...bee size and a few zigzagged which should be impossible in space for a non living or non controlled object. Thus, they were evidence of life. There are only two small clips of these white UFOs in this video below, then the last 6-7 minutes is dedicated to the the Russians display of the Olympic Tourch, which kinda looks like a Klingon bat'leth. Oh...Youtube lets you do full screen and up the clarity to HD 750 or higher, also put it in slow mode...this way you see those little white buggers.